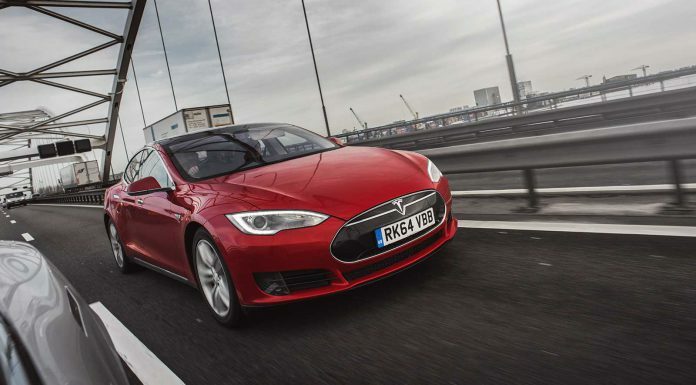 Tesla is transforming the world of all-electric motoring and it’s on a charge in a huge lifestyle leap. 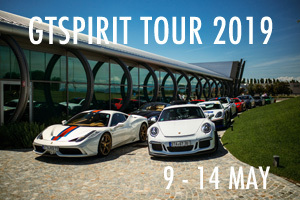 And so GTspirit was able to drive nearly 1,000km or about 620 miles from London to Amsterdam and back over two days with car and crew refreshment breaks no longer than the norm on such a run. 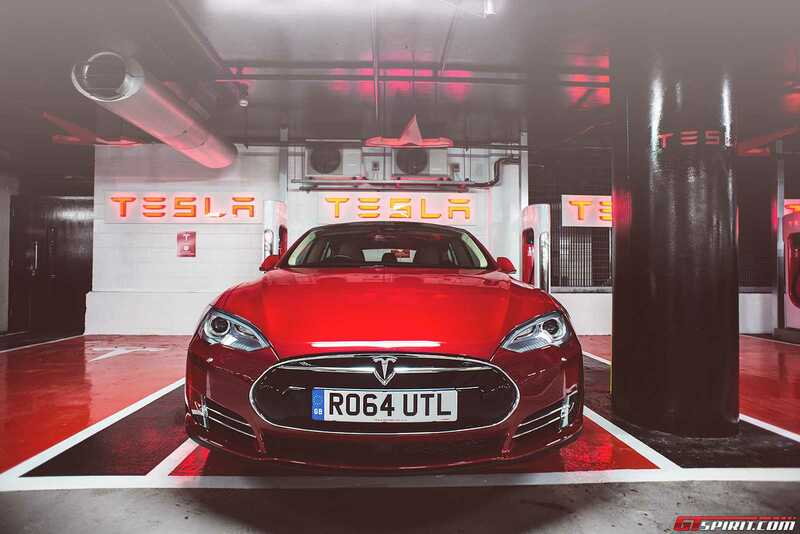 Tesla’s Model S is a head-turning prestige coupe, a top quality and spacious machine that goes like a rocket – and more importantly a full battery charge gives much the same range as a full petrol tank in a traditionally fuelled rival. 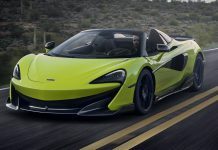 The 85 version we had, with rear-mounted motor driving the rear wheels, boasts a range around 480 km (300 miles) on a full charge, with 380 hp giving acceleration from 0-100 km/h in about 5.6 seconds with 200 km/h maximum (125 mph). 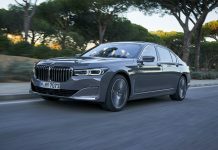 The next model up, the 85D (for dual) with power split 190 hp to each axle with an additional front-mounted motor driving the front wheels without the complexity of axle-linking transmission, accelerates marginally faster but with 250 km/h (155 mph) maximum, while the awesome 691 hp P85D Performance version cuts the sprint time to 3.2 seconds. 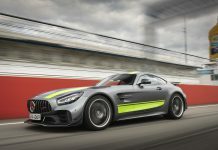 Never mind the initial dash, the single gear transmission surges the car seamlessly onwards to its maximum – with both the motor’s retardation and traditional brakes providing first rate stopping. 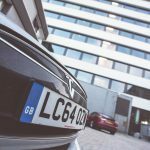 And a great drive is not the only reason to smile at the wheel, with plenty of money-saving incentives across Europe, where an electric charge can mean no charge for the fuel, often no parking fee and great tax concessions. 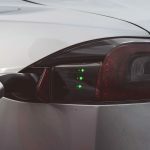 Not so long ago prospective buyers of plug-in electric cars were concerned about whether commuting would be practical, with the prospect of lengthy recharging at work to get home again. Foreign touring seemed a pipedream. 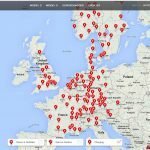 But Tesla has changed all that with the long range of the five-door Tesla Model S coupe, and with a fast-expanding network of its own ‘supercharger’ recharge stations pictured on the map below where a 30-minute plug-in will add 170 miles range. 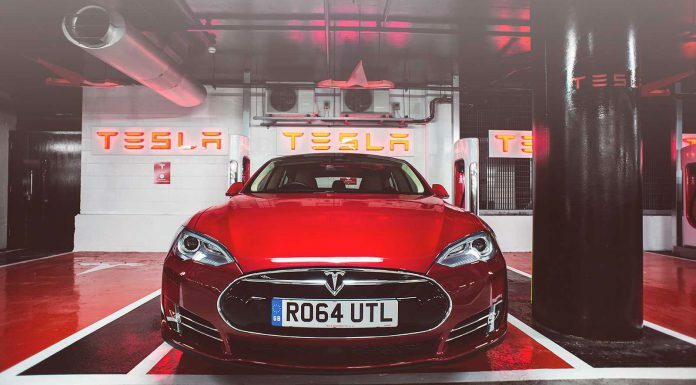 We started from Tesla’s new London store at the Westfield shopping complex near Shepherd’s Bush, where the multi-storey car park features a brightly lit and clearly defined battery of exclusive supercharging bays. 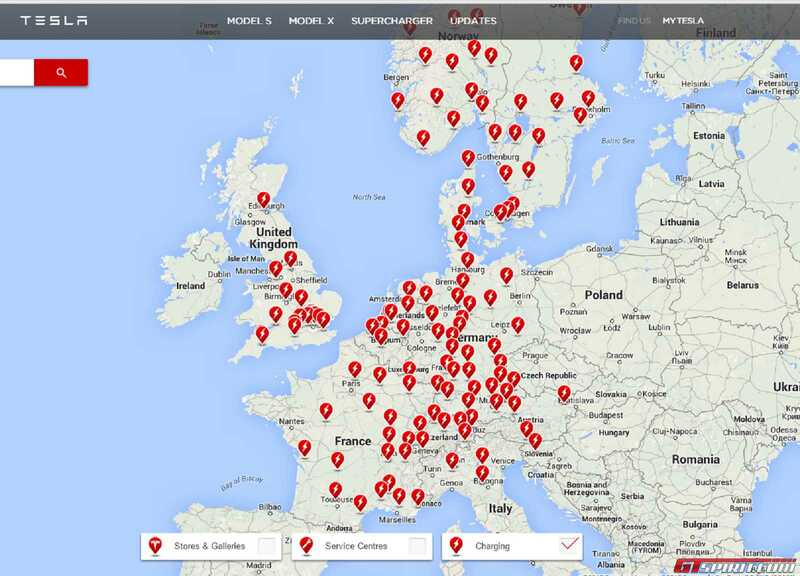 This is bonus No1: owners of Tesla Model S are promised that they will NEVER be charged for using any of the 129 supercharger sites which extend in Europe from northern Norway to Italy and Slovenia with 20 in Britain. 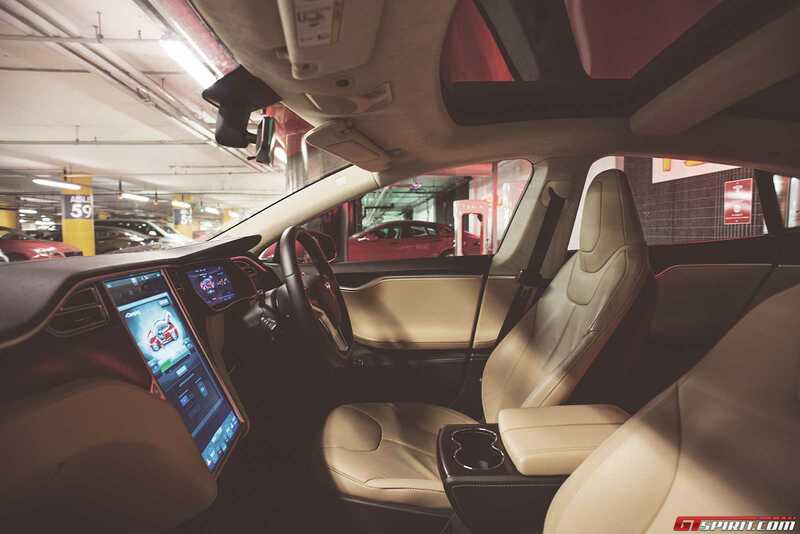 The Westfield store is a great place to browse the Tesla experience with splashes of paint and fabric colour, and both sit in a complete car and also see the aluminium alloy chassis on which it is based. Both vehicle footprint and pricing are comparable with those of say an Audi A7 or BMW 6 series, but with both motors and battery packs below floor level for road-hugging low centre of gravity there are huge luggage bays front and rear of the big cabin, providing the crumple zones for Euro NCAP safety stardom. 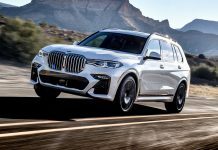 In the UK the list price is cut by £5,000 in a government grant scheme so for the 85 kWh 362PS rear-wheel drive version tested taking the start price down to £56,400 while options such as the amazing tech package including autopilot (£3,500) and smart air suspension took it to just over £66,000 all in. For UK business users there are tax attractions for both for the user and the company worth thousands of pounds a year, while other countries in Western Europe have similar incentives relating to the ‘green’ credentials. 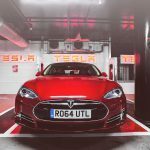 In the UK there is also no ‘showroom tax’ for a new car’s first year, there is no London congestion charge, worth over £2,500 annually, and often parking spaces are free. But surely the biggest attraction is that your electricity is free at a supercharger, while charging at home from a domestic electricity supply should only cost about £2 for around 50 miles’ range. 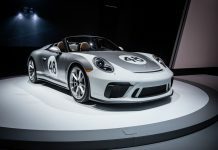 And backing this up is the reassurance of an eight-year unlimited mileage warranty for both the battery and drive units. Time to hit the road and we headed for the Euro Tunnel following the clear satnav on the huge 17inch touch screen dominating the centre of the dash down to the centre console. For the bottom half I selected the rear camera view, handy for parking but better than any rear view mirror! And you can select and switch content for the two halves of the screen. 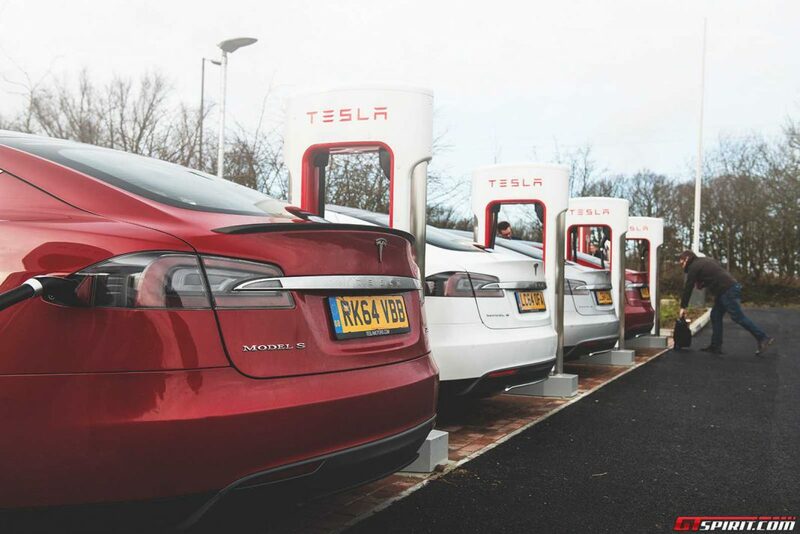 With all Tesla supercharger stations loaded on the Google Maps, it guided us on a minor detour off the M20 at Maidstone to one of the UK’s newest supercharger stations with six chargers beside the Hilton hotel to top up and take a coffee break. And you can check the charging progress – and so much more – with the handy Tesla app on your phone. 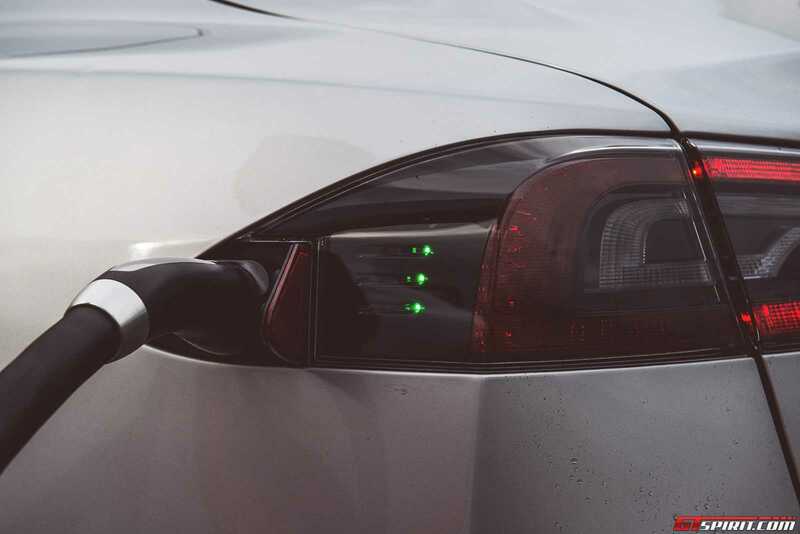 Nothing tricky, you just hold the charger equivalent of a petrol pump nozzle beside a rear light and a neat reflector flap opens revealing the socket. 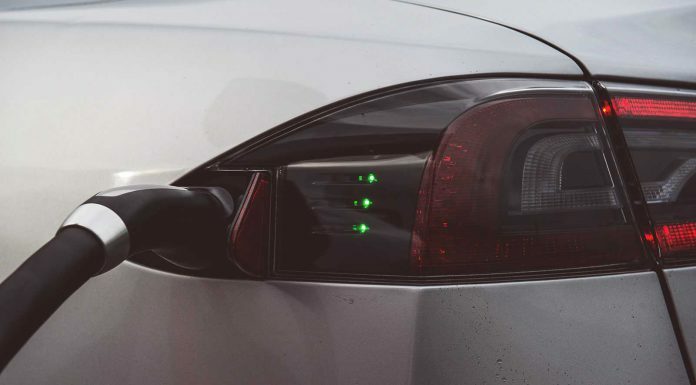 Green lights show connection and charge. All clean and fresh! All stations are strategically placed to minimise stops and sited near restaurants, shopping centres, and WiFi hot spots. 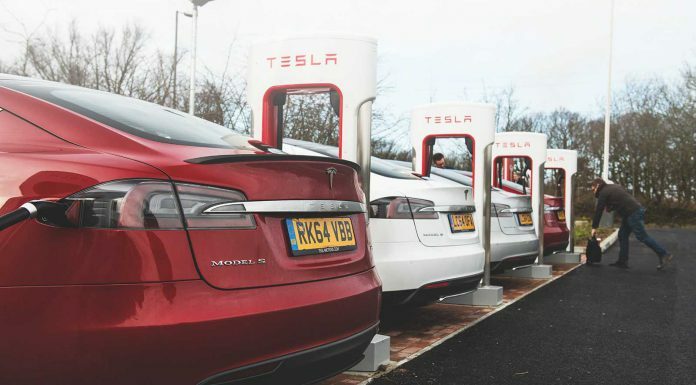 Batteries replenished, with 205 km to the next chargers in Belgium and the range displayed on that same big screen, we headed for the Euro Tunnel rail terminal, creeping in lengthy traffic jams as bad weather forced lorries to switch from ferries to tunnel – but it wasn’t draining our batteries. And raising the air suspension meant that there was no problem driving into the train carriage. 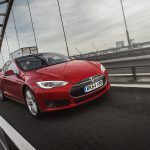 Then France, briefly, as we joined the E40 into Belgium and followed the coast towards Ostend and then inland to Ghent and our next stop at the Holiday Inn Express, again just off the autoroute, and with WiFi, restrooms, restaurant/brasserie and the bonus of ten per cent discount for Tesla owners appreciated as we sat down to a hot meal. 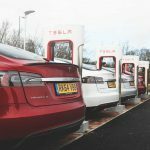 Back on the road, it was getting dark, with gusty wind and rain but the unruffled Tesla cruised effortlessly onward, serenely eating up the 123km to the next supercharger station in Oosterhout near Tilburg in the Netherlands where again facilities – apart from eight superchargers – included a McDonalds grill and Domino Pizza. Now it was only an hour’s drive to our destination, the trendy Volkshotel in the former offices of De Volkskrant newspaper in Amsterdam’s East district, which offers stylish rooms, excellent value from around 75 euro (£55) a night and spectacular city views. 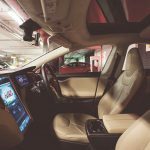 Amsterdam has taken the Tesla to heart – the airport has a fleet of 160 Tesla taxis so that is one place where you will not hear cabbies complaining about the price of fuel! Homeward bound, we were using the same ‘refuelling’ venues at outward, balancing length of charging time against the tight schedule for the Tunnel booking. 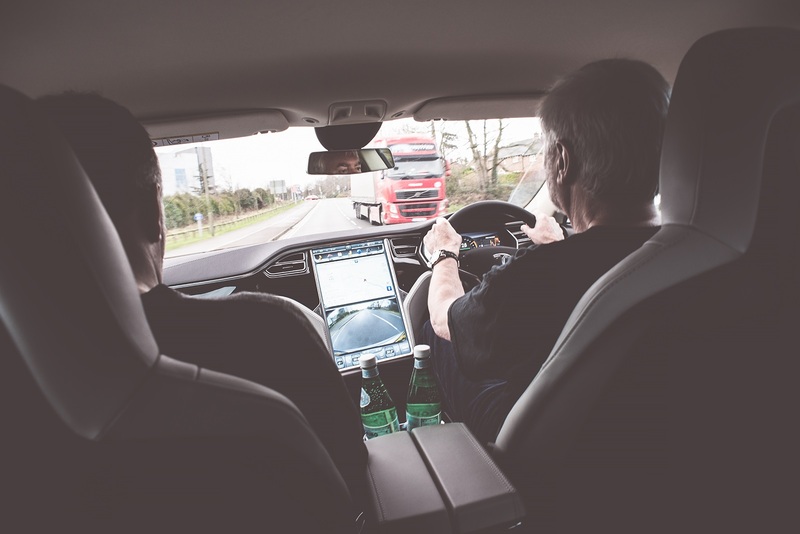 Fast cruising is effortless and calm, the spacious cabin with grey leather upholstery having plenty of legroom, and on highways up to ten lanes wide the traffic is disciplined – and a large digital display helps keep the driver’s enthusiasm in check. Fears that this all-electric machine was going to be soporifically silent and lacking feel had been instantly dispelled, with excellent ride and steering feedback accompanied by a gentle singing of tyre noise. 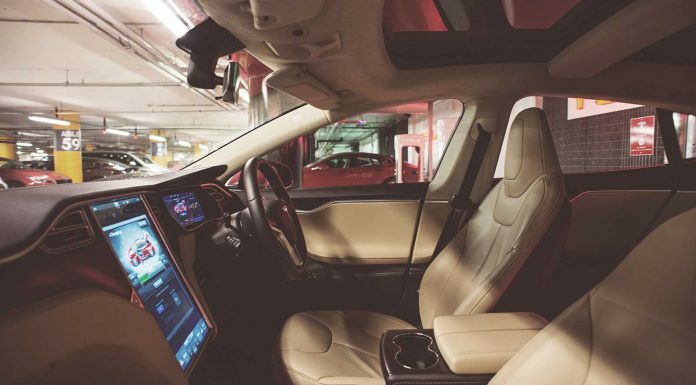 The tech pack has features like radar speed control and 360-degree sonar alerts to vehicle alongside as well as the “auto pilot” keeping you in your lane, lane-changing at a tap of the indicator stalk, self-parking and ever more in the easily updated computer controls. So first Oosterhout again, then the sparky equivalent of “splash and dash” at Ghent, and then Euro Tunnel, and the home leg was in sight. Before the Tunnel the satnav had been overly anxious on range, overlooking the train ride, but soon on the road again the estimate reflected our tight strategy with a yellow warning to slow down if we wanted to reach Maidstone! 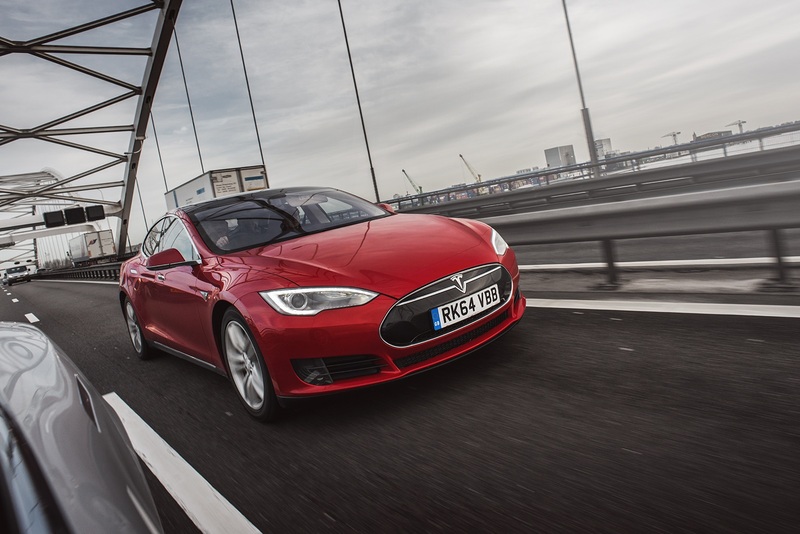 It was a reminder that as with combustion engines, a lighter right foot will enhance the fuel range. We behaved, and arrived with miles to spare. It was less than 80km to the finish at Westfield, but while heading right into the heart of London brought spectacular sights, on a Friday night it also brought acute congestion as we passed the O2 Dome and Canary Wharf as we were directed right into the financial district of the capital. The hold-ups brought a bonus for companion Daniela – she just took over the top half of the screen to Google the London Underground railway map and times to arrange her onward travel. And I ignored the satnav directions on the screen behind my wheel and turned away from the gridlock for a longer but faster route. Soon Westfield loomed and the supercharger bays were busy but we still had no wait to park up. Mission accomplished! My verdict? 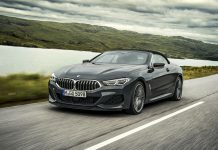 After 1,000km of effortless driving through four countries it was a jolt – literally – to reluctantly return to the “old” ways of a grumbly modern diesel. 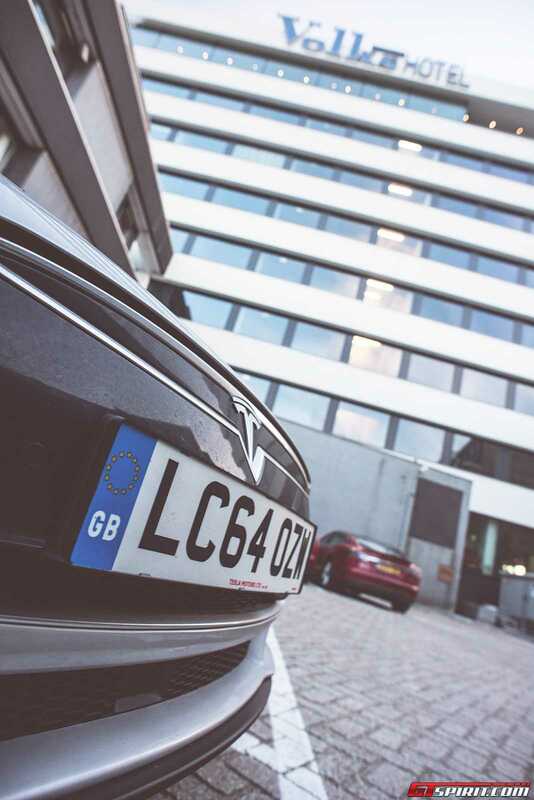 The Tesla’s sophistication is unquestionable and now the support infrastructure is joining up fast so that a cross-Europe trip needs little more planning than hotel bookings you’d make anyway. 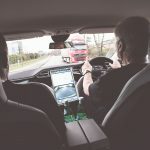 But all the time the cogs had been turning – the shop window price may look a little high, but deduct the tax incentives on purchase and road usage, and then most if not all your weekly fuel bill, and you are going to be thousands of euros better off. Consumables will be tyres and brakes – and the coffee on advisable driving breaks you probably too often ignore. Time to enjoy the fresh air – and a fresh lifestyle!